So, what is the Cites certificate? What does it contain? When and to whom is it issued? The Cites certificate is an absolutely essential document for the trade in exotic leather products and cannot be replaced with any other type of certificate. It is NOT issued when a new product or a new product line is presented and displayed in the window and does not directly certify the quality of the item – indirectly, in any case, also fulfils this function. The Cites certificate justifies and allows the re-export of the exotic leather with which a certain product has been made; moreover, it records and certifies all data concerning this leather and its origin. The other important aspect that we cannot fail to highlight is that the Cites certificate can only be requested if the product is sold abroad and only at the time of sale (not before). As we largely discussed before in our previous articles, exotic leather (that is every product derived from animals included in the Cites appendices) is strictly controlled. The transport and sale of this kind of products are permitted, of course, only to the companies in possession of other specific permits and licences. When the leather is imported in Italy in a raw state from third countries – in Italy of course there are no farms of these animals -, it is accompanied by a series of documents that certify the origin, reveal the source (breeding or withdrawal from nature) and the licence. Once it arrives here, it is tanned, worked and dyed by renowned tanneries, to be then used to produce items such as bags, shoes and various accessories. Every information concerning this leather (length, quantity, licence number, import date and country of origin) must be noted in a special register created specifically for the loading and unloading of exotic leather. In the loading section, the registered information must coincide with those present on the packing list or on the purchase invoice of the leather. In addition to the codes specific to the leather’s licence, other information must be reported: the scientific and common name of the animal in question, the type of purchase, the source of the skin and more importantly the quantity measured in metres or centimetres or more simply the number of skins “entered” in the company. At the time of sale of a certain product, previously loaded on the register, the unloading section is updated: here, the above information must be repeated, along with the sales invoice number that will accompany the good, the destination and the effective quantity of “outgoing” material. These two sections of loading and unloading are characterized by rows marked by a sequential number for which, once the registration is made, it is impossible to correct or make changes: that is why the compilation phase requires particular attention and precision. When the item is sold, if (and only if) the product must leave the country, in this case Italy, to be exported to a country not included in the European Union, the seller must request the release of a new Cites Certificate, that is the document we are going to discuss in this article. Only now it is possible to request the issue of a new Cites Certificate. The request, in fact, is only made when a product in exotic leather must be sent abroad and only when the identity of the purchaser is known – the certificate will be registered to him. 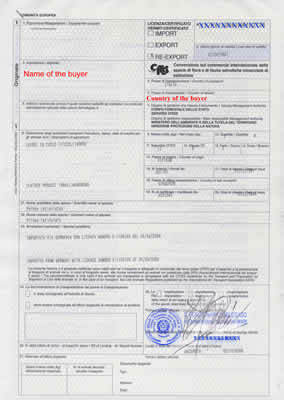 The Cites Certificate is demanded in writing, by filling the apposite forms; these are then sent to the competent bodies – in our case Carabinieri, Forestry Department – who draft it in a couple of weeks and release it to the seller after the payment of a tax (through postal payment or wire transfer). This document contains all the information concerning the exotic leather used – already reported in the Cites register (see above). The details of the purchaser and seller will also be indicated. This is intended to make the last owner’s name, his tax data and his address and the country in which the leather in question is exported clear and prominent. Even if it is a “personalized” certificate because it is registered to the purchaser of the property, this document is never delivered directly to the customer, but remains within the competent offices in the customs agencies of the country of export and import. During its journey, the item provided with regular Cites Certificate is subjected to strict controls from the customs of exit and from those of the importing country: here the veracity of the information on the certificate is verified. Don’t be afraid: most of the time, the customer remains outside this control procedure and does not even notice the bureaucratic treadmill that his purchased item needs to follow before reaching the final destination. Most of the time, but unfortunately not always! Precisely for this reason, we kindly advise to follow our next articles, so you will avoid any difficulty. The Cites certificate is an essential document, but most of the time it is not known by all those people who are not aware of these procedures … that is, to all the ordinary people. Thus, apparently (and only apparently!) it seems that there is no control behind this trade. 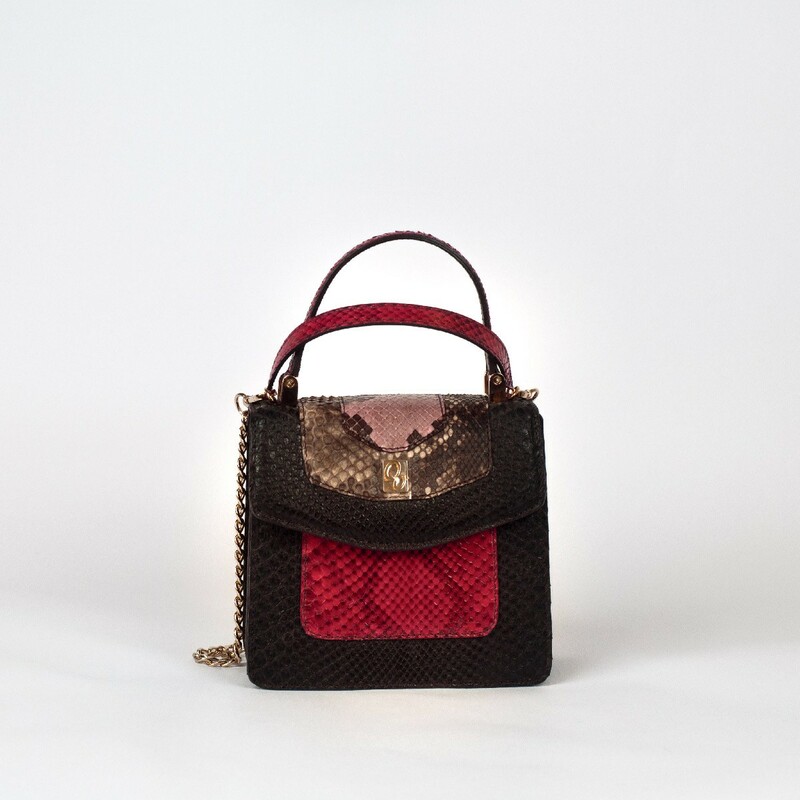 Starting from today, we hope that you will not be part of those who think so, given that thanks to this article you have gotten to the heart of the matter and have perceived more closely what is hidden behind the sale of a (albeit minimal) exotic leather accessory. Without this certificate it would not be possible to ship abroad – outside the European Union in our case – any type of item made with exotic leather. If this rule were violated, there would be serious dangers for the survival of the animals belonging to the protected species: when the leather does not have regular documents, it becomes clear that it was introduced in Italy in an irregular way, so the skin is coming from captured animals, killed in their natural environment by unscrupulous poachers. Unfortunately, these situations weigh heavily on the ecosystem and create considerable damage to the environment and to the natural landscape. We must all be committed to ensuring that controls are always tight and avoiding major environmental disasters, informing us well before buying an exotic leather product: is it provided with regular documents? When you buy a product from a foreign country, never accept an item without the relative Cites certification, even if beautiful and inexpensive; in this way, you would do nothing but favour the illegal trade in exotic skin and, in addition to breaking the law, you would violate a moral regulation that in our opinion is even more important than the legal: the respect for nature and the environment in which we live. Very interesting and insightful article, thanks for that. Does the same thing apply to the end product, say a croc bag? Or only the ‘raw’ product? Thanks! We tried to talk about this subject in the clearest way.